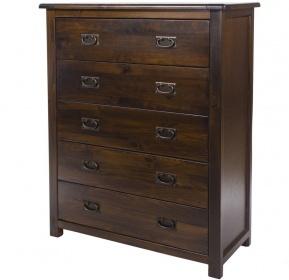 Add a warm French feel to any room of your home with this beautifully carved mahogany chest of drawers. 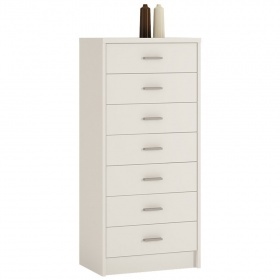 Light and airy white finish contrasts with the metal swan neck handles. Classic design that will last you for many years to come. 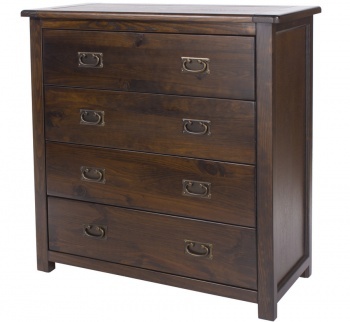 Four good sized drawers provide you with useful storage space. A fantastic way of adding extra storage space to a room. Constructed from mahogany and MDF. Delivered in one box ready for you to unpack and enjoy. Part of our collection of reproduction furniture.